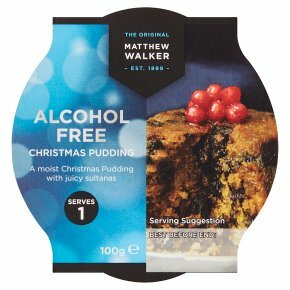 A traditional nut and alcohol free Christmas pudding from the world's oldest Christmas pudding makers. With vine fruits, candied peel and spices. Suitable for vegetarians. This is a guideline only. We suggest that you consult your instruction manual. Pierce film lid and place in microwave on a microwaveable plate. Heat on full power: 800W for 50 seconds or 900W for 40 seconds. Leave to stand for 1 minute before serving. Leave in basin with film lid on. Place the basin in a steamer over boiling water and steam for 30 minutes.Ensure that water does not enter the pudding. Do not allow the steamer to boil dry.